Three days after news broke that actor and former teen idol David Cassidy had died at the age of 67, his daughter Katie Cassidy tweeted a statement of gratitude for the love and support her family has received. "Words cant express the solace our family's received from all the love &support during this trying time," she tweeted. In her message Friday, Katie Cassidy also included what she said were her father's final words: "So much wasted time." "This will be a daily reminder for me to share my gratitude with those I love as to never waste another minute....thank you," she said. Katie Cassidy was raised primarily by her mother Sherry Williams and stepfather Richard Benedon. At the same time, David still played an important role in her life. "Because I didn't raise her, I didn't have to parent her," David Cassidy shared with People back in 2009. "I'm always here and totally nonjudgmental." Katie Cassidy added at the time, "To be able to go to someone I'm genetically linked to, tell them anything and know that they're not going to judge me — it's unbelievable. It's nice when your dad can be your friend." Ultimately, however, the pair had a falling out. David Cassidy confirmed to the publication in February 2017 that he was no longer in contact with his daughter. "I wasn't her father. I was her biological father, but I didn't raise her. She has a completely different life," he explained. "I'm proud of her. She's very talented. It's hard for me to even accept how old she is now." On Nov. 21, a rep for "The Partridge Family" star confirmed to E! News that David Cassidy had died in Fort Lauderdale, Florida. 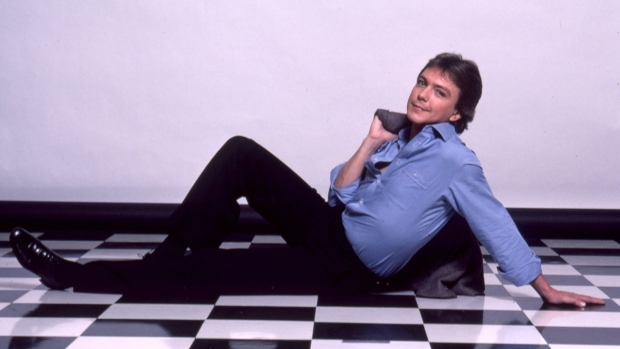 "On behalf of the entire Cassidy family, it is with great sadness that we announce the passing of our father, our uncle, and our dear brother, David Cassidy," the statement read. "David died surrounded by those he loved, with joy in his heart and free from the pain that had gripped him for so long. Thank you for the abundance and support you have shown him these many years." The singer, actor and former '70s teen idol is survived by Katie Cassidy as well as son Beau Cassidy. Funeral arrangements have not been disclosed.